Home > How can you measure the value of a webpage? > How is Quantcast Measure different from Moz Domain Authority? 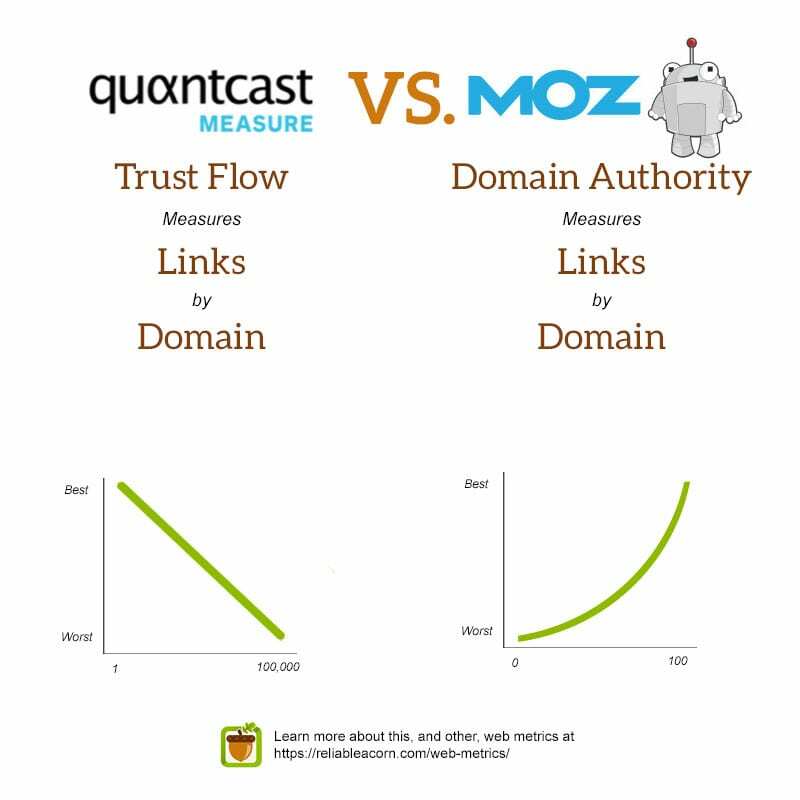 How is Quantcast Measure different from Moz Domain Authority? Quantcast Measure is a audience measurement tool which gives data like website traffic measurement, user demographics and data. This ranks websites by their popularity. Quantcast only measures the top 100,000 websites. Where Moz Domain Authority measures a websites quality, in terms of links. It considers MozRank, MozTrust and other factors. From this data it assigns a value between 0 and 100, on an exponential scale. The website with the most Domain Authority has a score of 100.